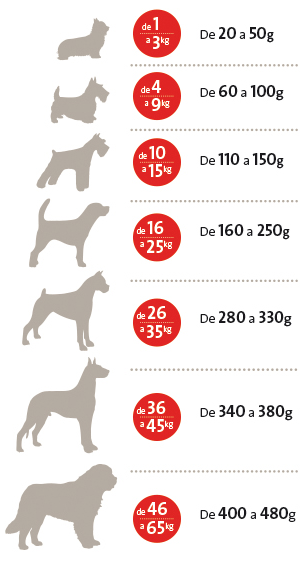 If you don't know which menu will your dog like the most, try this pack with the 3 varieties for puppies of all breeds up to 10 months and obtain a 5€ discount for your next online order. Complete and natural food for all breeds of pups up to the age of 10 months or pregnant animals. WAGYU GRAIN FREE PUPPY: Wagyu dehydrated beef 75%, dehydrated fruits and vegetables 10% (potato, carrot, tomato, spinach, apple and cranberry), Wagyu fat 8%, whole egg with shell 3%, Wagyu heart 2%, salmon oil, seaweed, garlic powder, turmeric and rosemary extract.